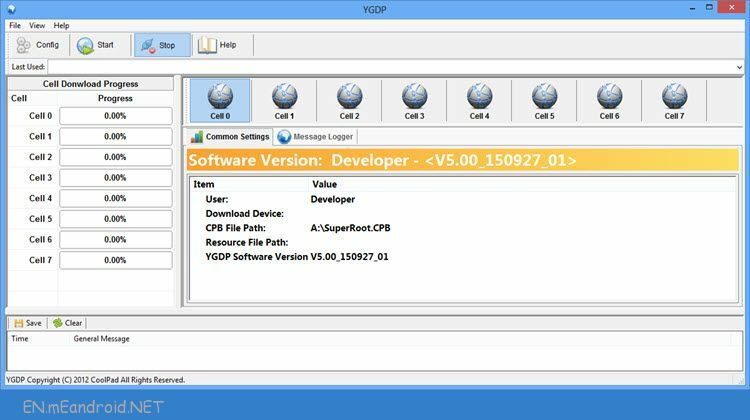 YGDP tool or YGDP flash tool is a small Windows utility tool that lets you flash stock firmware with .cpb file extension on your Android smartphone or tablet. In other words, if your device’s firmware file has a .cpb file extension, you can use this tool for flashing purpose. YGDP Tool allows you to flash CPB format stock firmware on Any Android Device. Here, on this page we have managed to share the latest and oldest version of YGDP Tool. Here you can download all versions of YGDP Tool (both old and new versions). Download YGDP Tool from here, install it on your Windows computer and flash CPB firmware on your device. 1) Supports All Android Devices: You can use this tool to flash the firmware on all Android smartphones and tablets provided that the firmware file comes with a .cpb file extension. 2) Compatible With All Windows Versions: YGDP flash tool is compatible with all versions of Windows operating system, i.e., you can install and use this tool on Windows 10, Windows 8.1, Windows 8, Windows 7, Windows Vista and Windows XP. 3) Supports Flashing PreResource File: If you have a PreResouce image file (.img) of your device, you can use this tool to flash it on your smartphone or tablet. 4) Configure Control Features: If you have a Qualcomm based smartphone or tablet, then you can use YGDP Tool to check fuse info, check device name, check eMMC CID and check instruments info. 1) Coolpad officially provides the YGDP Flash Tool. So, if you encounter any issues while installing or using this tool, contact their support team. 2) The default password for accessing YGDP Flash tool is 9527 or 369. 3) You can use this tool to flash .cpb stock firmware file on your Android smartphone or tablet. 4) YGDP Tool is compatible with all versions of Windows operating system. 5) If you face any errors while using this tool to flash the firmware on your device, drop a comment below. [*] YGDP Password: The default password for the YGDP utility is 369 or 9527. You will need this password to launch the final Tool. [*] How to use YGDP Tool: If you want to learn how to use YGDP utility to flash CPB Firmware then head over to the How to Flash CPB using YGDP Tool 2018 page. [*] Caution: Take a backup of your personal data before doing anything on your device. As because YGDP utility will delete your personal data during the flashing process. [*] Credits: YGDP Tool is created by Coolpad Inc. So, full credits goes to them for creating the tool for free.